Campaign for the American Reader: Pg. 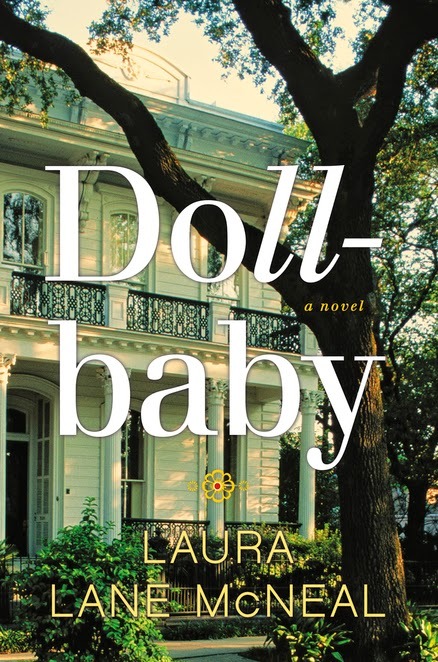 69: Laura Lane McNeal's "Dollbaby"
Pg. 69: Laura Lane McNeal's "Dollbaby"
Featured at the Page 69 Test: Dollbaby: A Novel by Laura Lane McNeal. Visit Laura Lane McNeal's website. My Book, The Movie: Dollbaby. Writers Read: Laura Lane McNeal. The Page 69 Test: Dollbaby. What is Katrina Leno reading? Pg. 69: "The Cracks in the Kingdom"
Pg. 69: Marianne Malone's "The Secret of the Key"
What is Kelly Fiore reading? Pg. 99: Robert Geraci's "Virtually Sacred"
What is Kimberly Elkins reading? Pg. 69: M. D. Waters's "Prototype"
Pg. 99: Kenneth Kolb's "Moral Wages"
What is Tom Young reading? Pg. 69: Kimberly Elkins's "What Is Visible"
Pg. 99: Elvin T. Lim's "The Lovers' Quarrel"
Pg. 69: Jeri Westerson's "Cup of Blood"
Pg. 99: Robert Garland's "Wandering Greeks"
What is M. D. Waters reading? Pg. 69: Susan Spann's "Blade of the Samurai"
Pg. 99: Nick Smith's "Justice through Apologies"
Pg. 99: Paul M. Cobb's "The Race for Paradise"
What is Susan Spann reading? Pg. 69: Judith Frank's "All I Love and Know"
Pg. 69: Alecia Whitaker's "Wildflower"
What is Rufi Thorpe reading? Pg. 99: Peter Jones's "Open Skies"
Pg. 69: Susan Coll's "The Stager"
Cover story: "Word of Mouth"
What is Alecia Whitaker reading? Pg. 69: Susan Slater's "Rollover"
Pg. 99: Michael Dumper's "Jerusalem Unbound"
Pg. 99: C. Christine Fair's "Fighting to the End"
What is D. A. Mishani reading? Pg. 69: Ann Garvin's "The Dog Year"
Pg. 69: Rebecca Makkai's "The Hundred-Year House"
What is Lisa See reading? Pg. 69: Warren C. Easley's "Dead Float"
Pg. 69: Diane Haithman's "Dark Lady of Hollywood"
What is Ann Garvin reading? Pg. 69: Laura McBride's "We Are Called to Rise"
Pg. 99: Stuart Kirsch's "Mining Capitalism"
What is Cammie McGovern reading? Pg. 99: Alastair Bonnett's "Unruly Places"